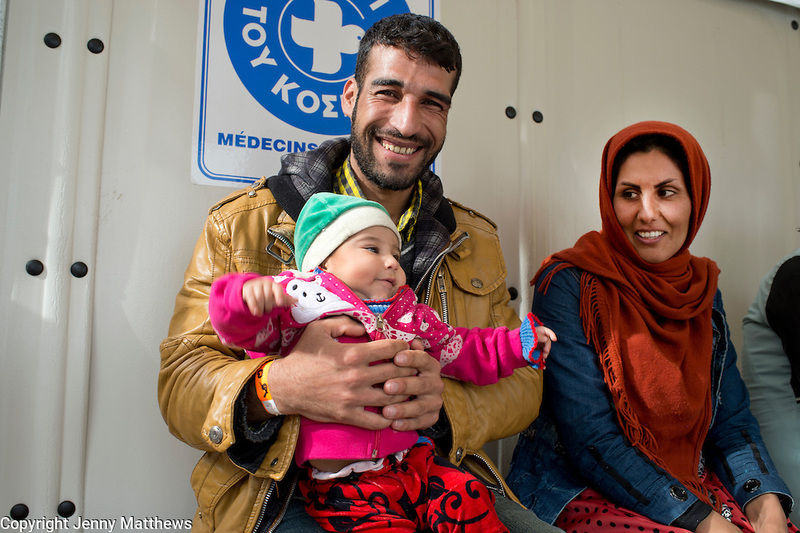 Greece with Doctors of the World (Medecins du monde). Chios Island, one of the places where refugees from Turkey land en route to Northern Europe. Souda camp. MDM clinic .Sabina , 6 month old baby who is teething. Her mother is Amineh Arma aged 24.